I was fortunate to find DSG when I most needed it. Desperate, fearful and confused, my marriage was in ruins, and so was I. After thirty years, I knew that I needed to divorce my husband, but had no idea how to cope emotionally, or even practically, with the process. The DSG was a crucial part of my journey to independence. 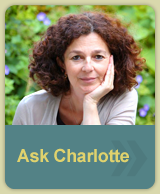 I am grateful to Charlotte, and to the group, for helping me to move forward into a new happiness.